It occurred to me as I was pulling on a pair of pants: Americans are pansies. The pants were stiff and tough; ugh! They weren’t comfortable at all. 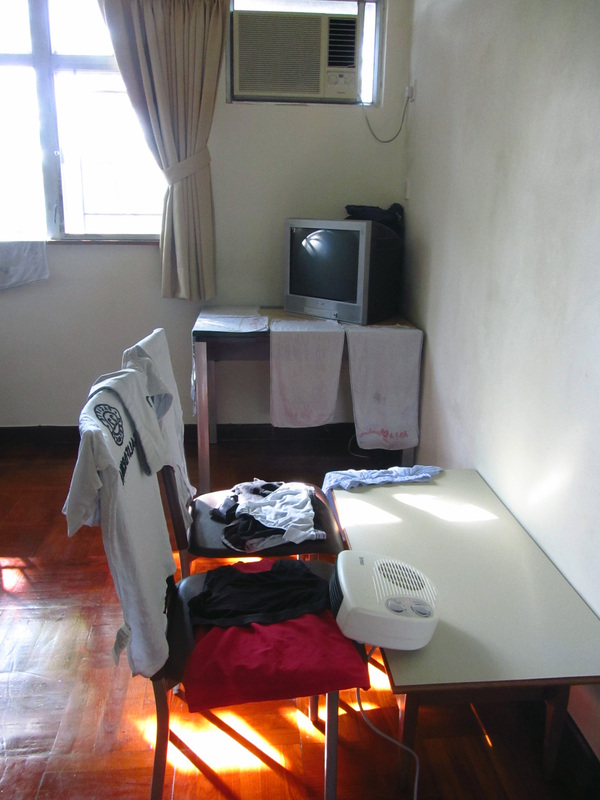 The last time they’d been washed—and hung to dry—I was living in Hong Kong. The same thing had happened, in reverse, when I first moved home. Pulling a shirt out of the dryer, I was amazed. So this is what it feels like to use a dryer . . .
And it struck in me a memory. I remembered previous journeys abroad—to Italy, France, and Taiwan. And I remembered a particular sense of dread each time: I’m going to have to HANG DRY my clothes??!! Hang dry your clothes? YES, you’re going to have to hang dry your clothes, you big sissy! And it’s not going to kill you, either. Millions, no, BILLIONS of people around the world hang dry their clothes every day. How do you think people dried their clothing a hundred years ago? . . .
And they do it in humidity, too! You’re at least lucky you live in California. Pshh. As if this is something you should even be worrying about. And besides! Did you know that, while Americans make up only five percent of the world’s population, they use 20 percent of its energy*? 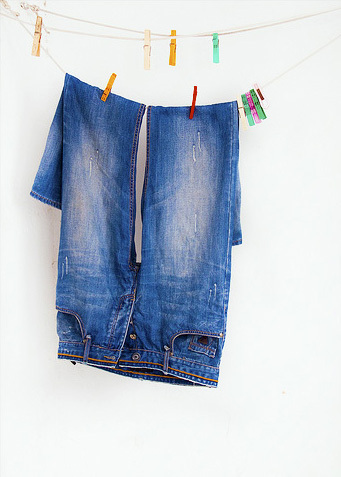 Do you realize how much energy you can save by hang drying your clothes? Although, I have to admit: Remember when your clothes used to smell like mold? Using a dryer is nice. yes, i cheated. i used a heater. 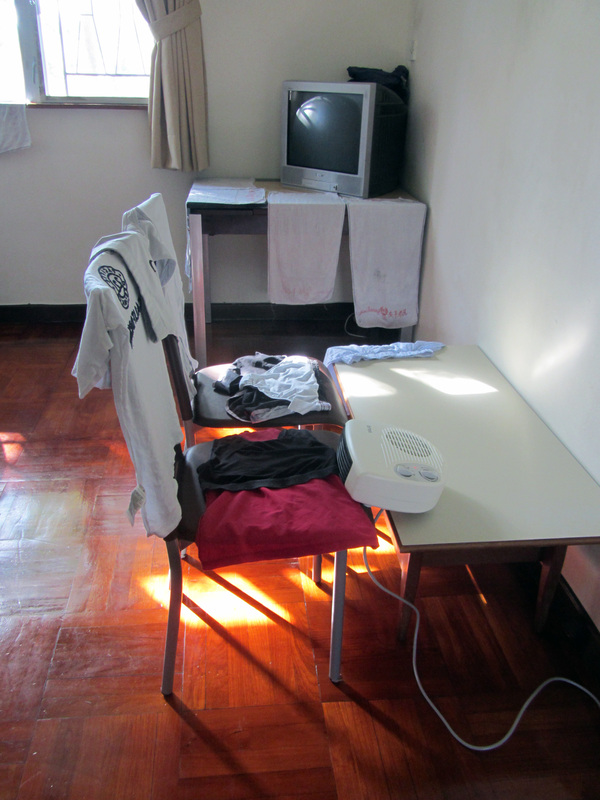 my “dryer” in hong kong . . . This entry was posted in change, culture, perspective, travel and tagged California, change, dryers, energy conservation, hang drying, hong kong, pants, United States. Bookmark the permalink. hello, my name is ___? Love it. I can totally agree that we Americans are pansies. We’re spoiled, rich, lazy and opinionated brats! I feel the same way, Jeremy! Especially after living abroad. Glad to know that someone else sees it. Well isn’t it nice we got to experience the other side so we could be opinionated about it? Ok, we definitely could be a bit more resourceful though. It *is* nice, isn’t it, Andrew? We sure do take a lot of things for granted in the States. Hah. When I lived in India I had to wash all my clothes in a muddy bucket. And now I complain that I have to walk across the parking lot to the washer/dryer. It’s amazing how fast we start to feel entitled again. So true. Now that I’m used to using softener again, and to doing a load start to end in less than an hour, it’d be hard to go back to moldy clothes and hanging them out to dry. But the experience was so worth it! I’m sure, if I ever have the opportunity again, I’ll adjust. ;) Where were you in India? What were you doing? I was in Goa, but not in the party/tourist areas it is known for. I taught english in the slums and also volunteered in an “old-age home.” I didn’t wear shoes for two months. It was a valuable experience, but I was so happy to come home. Wow. Sounds amazing. The closet experience I had that could compare was moving to a tiny town in Taiwan, where stray dogs roamed and people stared at me everywhere. Good for you. These experiences sure do give perspective, don’t they? Thanks for the reply! I liked hang-drying my clothes when I lived in Colorado – they smelled so fresh. But it’s a different story in Alaska – they’d never dry. And oh the (bad) smells when I was recently in Honduras! Learnin’ from experience … sounds good to me, it’s the reflection that counts, always try to put time aside for it.